But the other day, I got a care package of my own. One of my BFFs sent me a box full of treats and I think you all need to know about it. I wish blogs were scratch and sniff so you could experience these little babies for yourself. They are amazing. 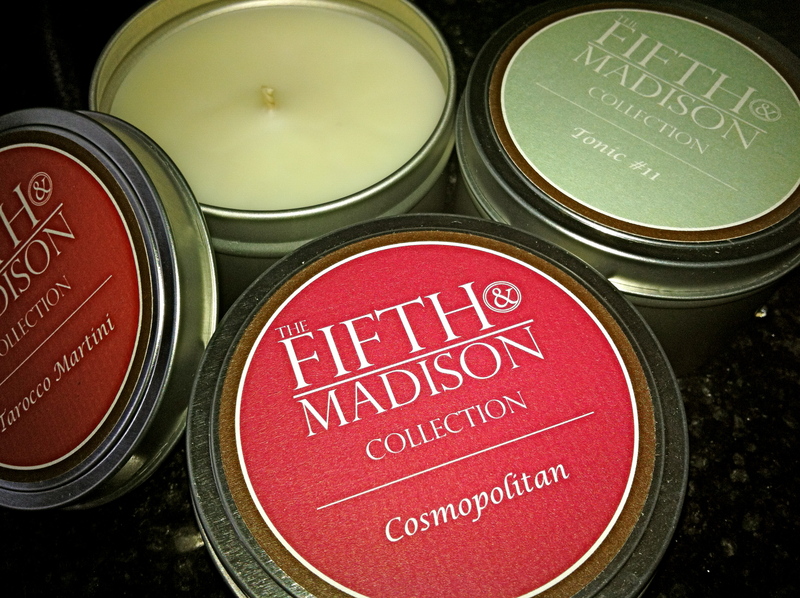 Candles from Fifth&Madison. I first found them at the Bryant Park Holiday fair in NYC. We walked by the little tent selling them and literally stopped in our tracks – it smelled like heaven. 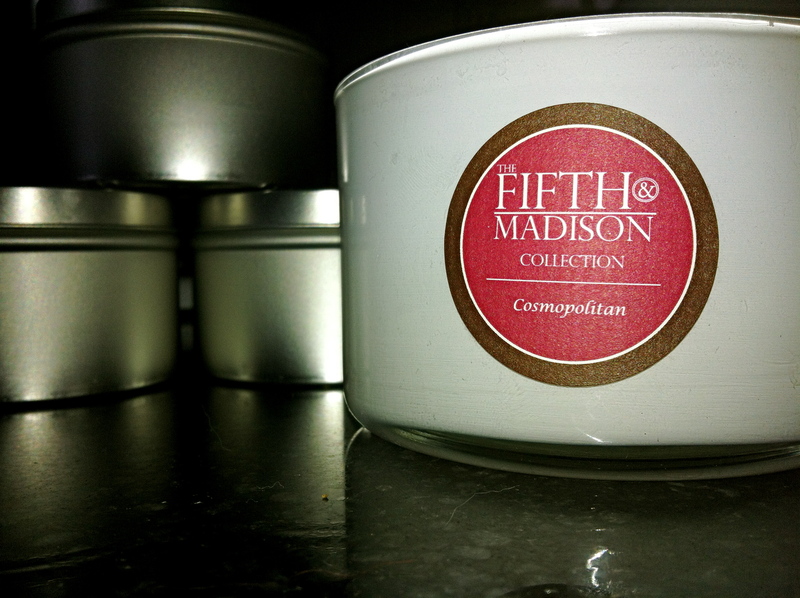 Heaven made of juniper, jasmine and grapefruit. Yankee Candle eat your heart out. Actually I’m not a fan of Yankee Candle – does that make me less patriotic? Would it help if I said I also dislike 98.5% of the scented candles out there. Most are too strong. Too fake. Too smelly. These make me feel fancy, like I’m in glamorous hotel lobby when I light them. A glamorous hotel lobby littered with shoes, Wii remotes and to-go coffee cups. Whatever. Just go out and buy them. Do it. You’ll be happy. You’ll be fancy.